What’s New in the Latest Ooma app for iOS? Now available in iTunes is the latest Ooma Free Calling App for residential customers. Released in January 2018, the new iOS Ooma Free Calling App v7.2 provides customers with added functionality. 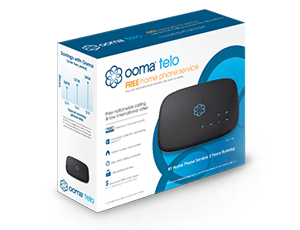 Now it’s easier than ever before to use Ooma to make affordable and high-quality phone calls while also having seamless integration between your home phone and your mobile device. What’s New With Version 7.2 of the Ooma Free Calling App? There are two new major feature upgrades with Version 7.2. We think both of them will enhance your user experience, and we hope you agree. The Ooma Free Calling App now offers full screen support with the iPhone X. With the 5.8-inch Super Retina display on your iPhone X, we know you want to be taking advantage of every single pixel of that beautiful screen. Because the X is shaped differently from every other iPhone, we reworked our app design to accommodate the different screen height, aspect ratio, and rounded corners. But if you don’t have an iPhone X, this newest version of the app will look just as good as it always has. The second major feature upgrade of the new app is Apple CallKit integration. Because Apple CallKit is a developer framework, you may not be aware of it or what it does. But we’re excited about the advances in the app’s user interface that are possible because of this integration. The behind-the-scenes work done by our developers to integrate Apple CallKit provides valuable features and functionality to Ooma users. Your Ooma calls won’t be interrupted when someone calls your iPhone’s phone number. If you’re maintaining two numbers on a single device, they will no longer conflict with each other when both lines are in use. You can answer incoming Ooma calls right from the lock screen. No more having to enter your passcode before being able to pick up the call. When paired to a Bluetooth headset or a speaker, you can accept, finish and change volume of your call from the Bluetooth accessory. Going hands-free is important to our customers, so this update lets your Bluetooth gadget do the work for you. If, for some interesting reason, you prefer to keep things the old way, you can always turn off Integrated Calling in your phone’s Settings. Not everyone likes change, and it’s fine with us if you would rather use the latest Ooma Free Calling App without these calling features. Ooma is an award-winning VoIP calling solution that provides comprehensive phone service that is higher quality and more affordable than traditional phone service. 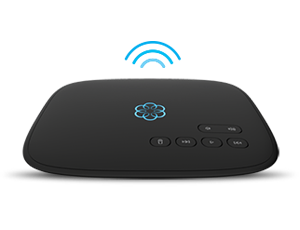 After purchasing the Ooma Telo residential hub, customers can choose between Basic and Premier service, with Premier customers having access to complete mobile calling functionality in the app as well as a range of advanced calling features including blocking spam callers, smart home integration, and more. Visit https://www.ooma.com/home-phone-service/ to listen to Ooma’s audio quality, read reviews, and calculate how much you would save by switching to Ooma. I am a OOMA premium member and my cell phone is with T- Mobile. Is there anyway to call/talk to my family the U.S. when I am overseas without incurring any charges. Do I still need a CIM card? I talked to the OOMA customer service representative and she says it is possible with the OOMA mobile apps. Please let me know how. Thanks for your help. When travelling overseas, Ooma app works the same way here as long as you have active mobile data or wifi on your cell phone. In other words, if you have internet on your phone, you can use Ooma to call back to U.S. free of charge.